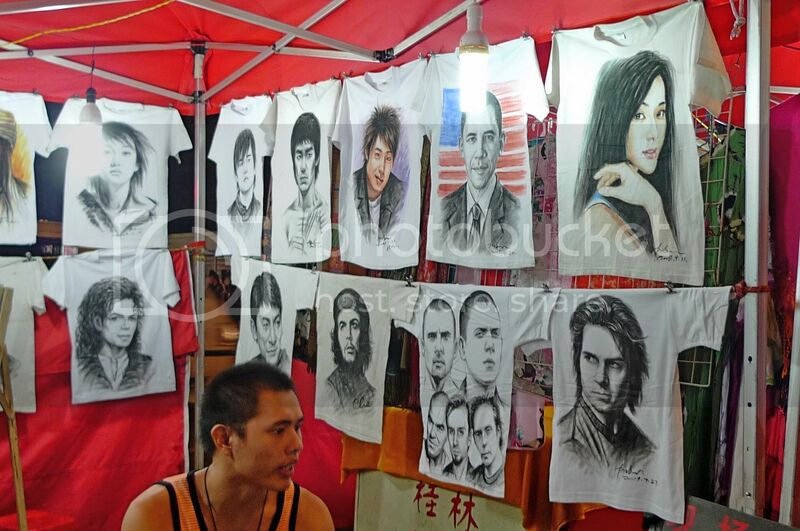 My Very First Blog: I Saw Jay Chou At Guilin Night Market! cheh cheh cheh!!! i tot REAL person of Jay Chou! wth! seriously, it really a bargain shoppers paradise! :D and the bun, r u sure all ready to be eaten? LOL... you got us~ tot is real in person. 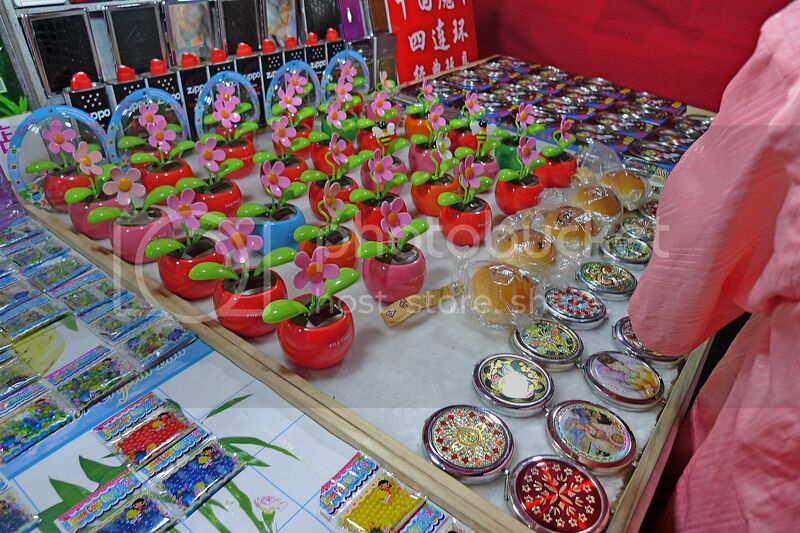 wah..like that must go guilin market.. btw, how come u can remember the itinerary so well.. u wrote them down? geng! next time when i travel, i must remember to bring a journal along.. The one i like the most none othere than MJ..... wish he was still alive ,,sigh. LOL! I thought you met them for real man! Dush Dush! You and Marc would love it there, the scenery around the city is amazing and the night market was a lot of fun! like dat kan.. i saw famous ppl everyday! 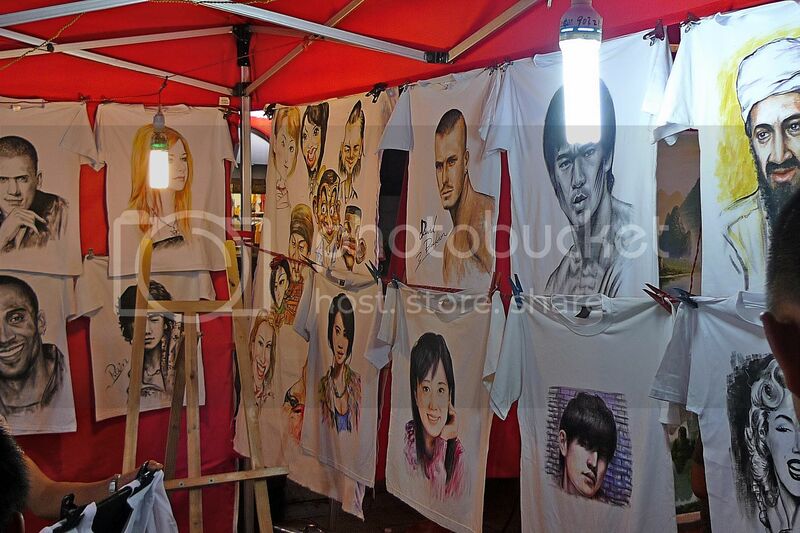 thru paintings.. hehehheheh..
fufu, eh can't you see Jay Chou on the T-shirt? Haha! hey, I saw Marilyn Monroe at Guilin Night Market too~~ OMG!! 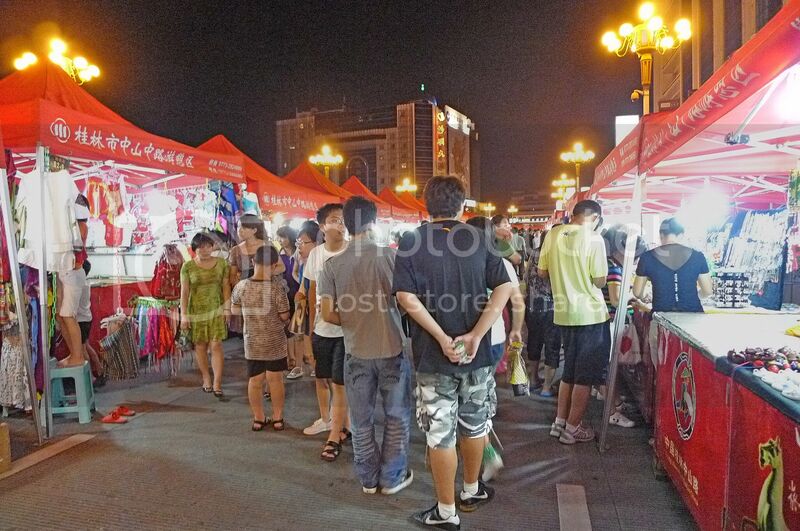 @_@"
Wow...a few hundred stalls? That's a lot. 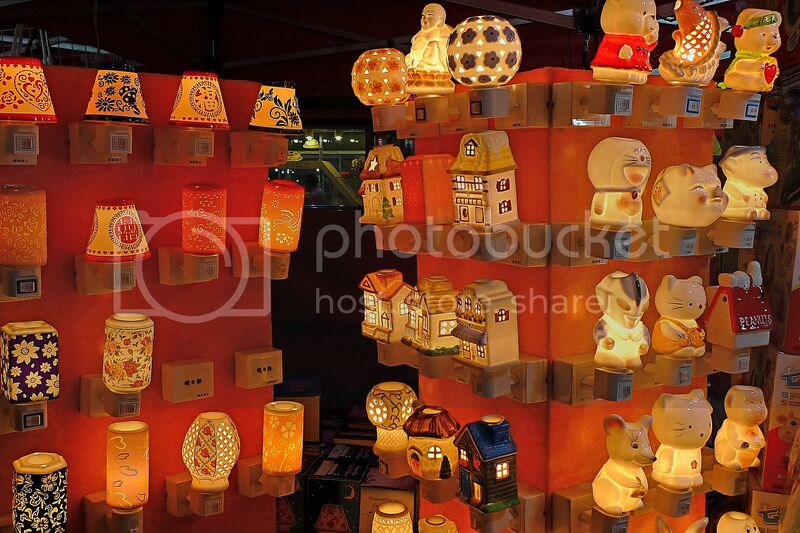 How long did the night market stretch? a few km? They would do so every night? Wow...in my area...we only have like once a week. Business must be very good over there huh. Hmmm....I noticed all their stalls are the same. Can bargain? So it is good then. :p Looks like our petaling street ler. Haha :D Yeah! These night lights are cute. I can even spot the buddha. :p are these handmade? Wow....a lot of fans indeed. :p Hmmm...those musical instruments look rather weird. How to play it? You should have bought one and show to us. Wow...those pictures are nice indeed. :D Did you buy any? Must be expensive I guess. The night market scene reminded me of our pasar malam and Chinatown. caroline, haha! Conned you! LOL! The bun is a toy so of course it cannot be eaten. Yes, the lights are cute and you should go there to get your piggy! Am afraid there's no Mariah Carey T shirt otherwise I would have bought it! LOL!! handmade holiday gift ideas, huh? Who is Marc?! cloudia, yes I wanted too! Should have bought it! merryn, hahaha!! Yes, I also see famous people everyday in pictures and photos and TV! LOL!! SK, OMG!! You spammed my comments with every celebrity you could name? Haha! But of course you didn't see me! What else is new? LOL! tekkaus, we ate economy rice because we did not feel like splurging that night. 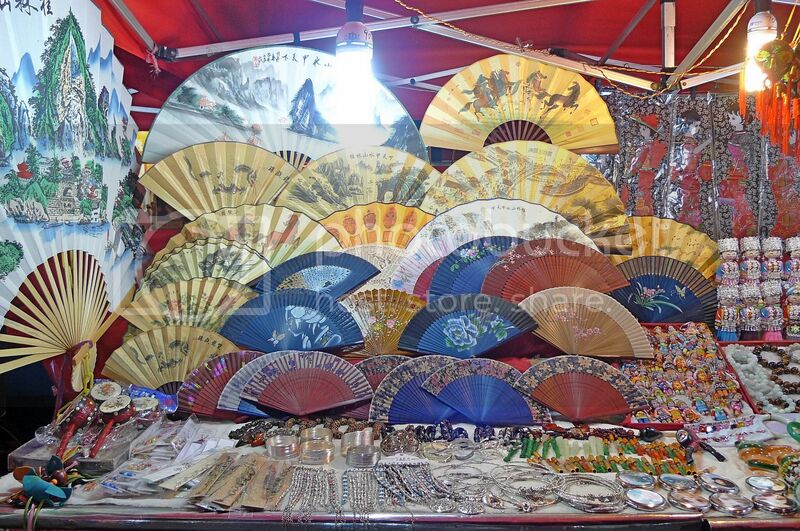 Besides, can save some money to splurge on souvenirs at the night market! LOL! I would definitely visit it should I go there..
arghhhh! i thought real jay chou! 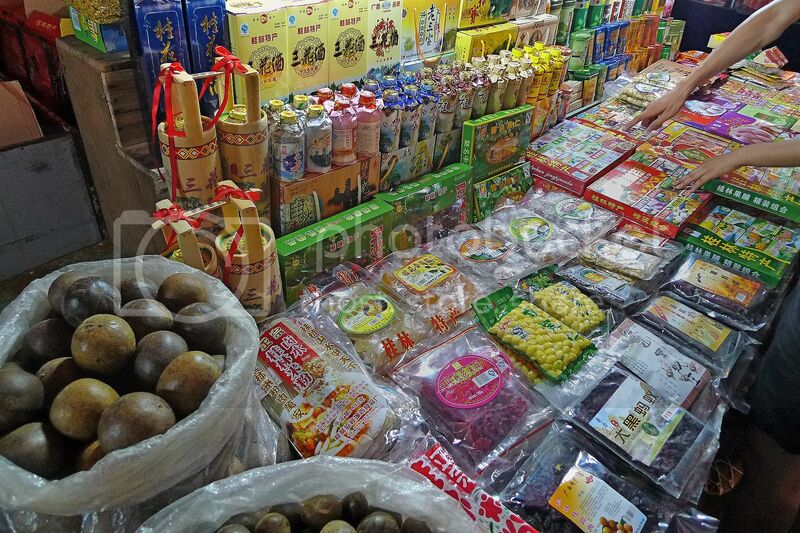 Gosh, there are so many things sold at night at Guilin market!! In the U.S., it's almost dead at night except for busy streets with good restaurants. 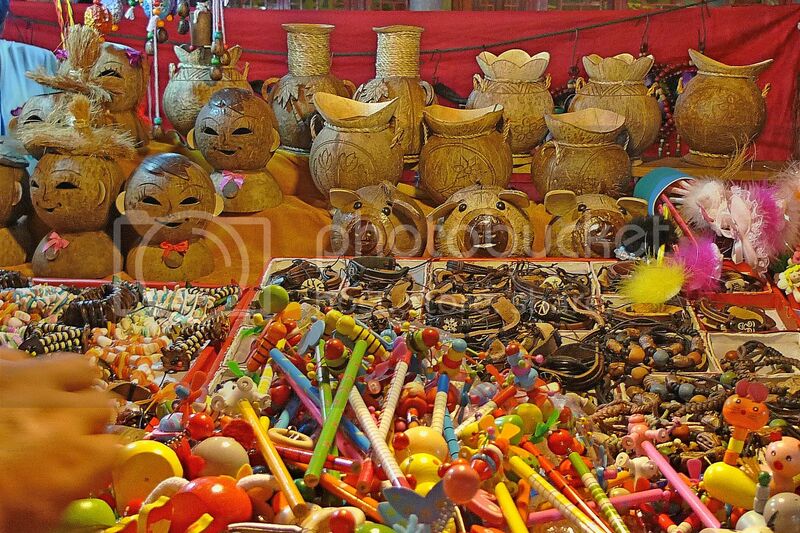 If I were at the Guilin market, I think I'd buy up bagfuls of stuff. I'm sure they're cheap, right? Love the celeb t-shirts. The artist is sure good. 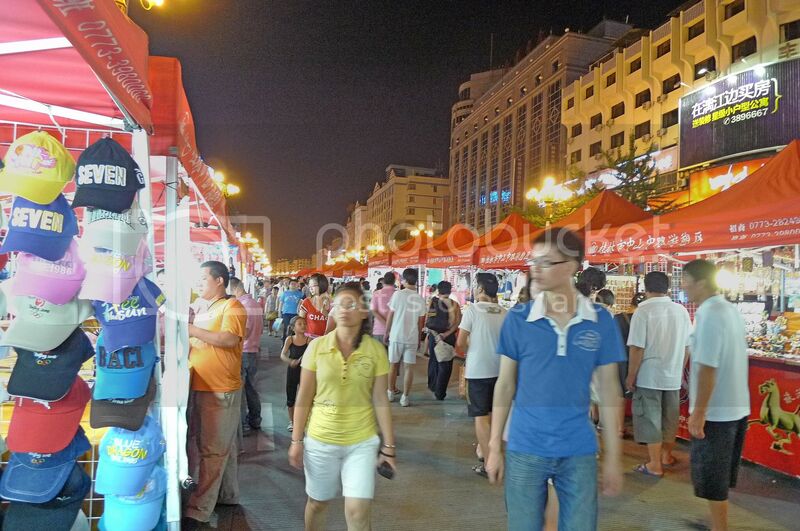 The night market is a nice place to visit, right? I have no problem at all visiting it again in the future! Hey the lightings are so cute. Cannot find them here. Thanks for the pics. The t-shirts are just amazing. The prints look so real. Awshucks!! No Mariah Carey t-shirt?!! LOL! 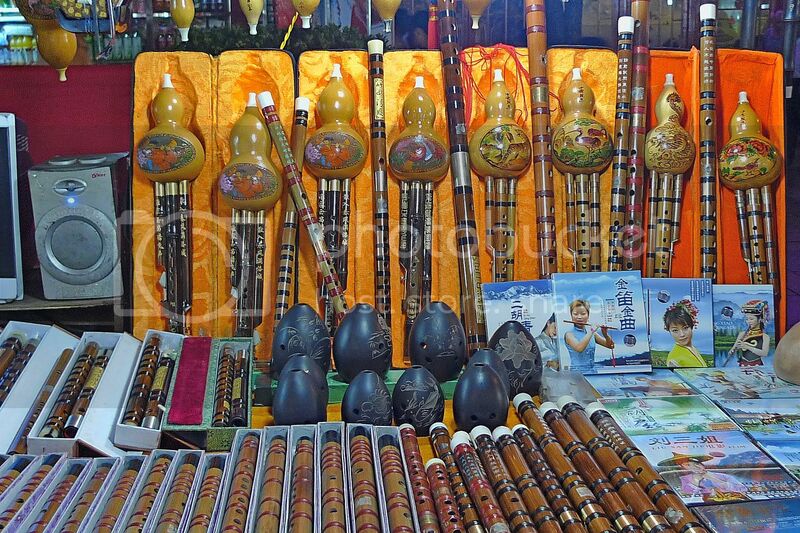 That egg-shaped musical instrument looks interesting. It kinda looks like an avocado too. Wow. Nice place. Guilin is like Divisoria here in the Philippines but cleaner and less crowded. I want to have that shirt being sold in Guilin with Darth Vader printed on it. what a colourful market. love those striking lamps with such lovely designs. Chey, I thought you really saw Jay Chou in person. Was wondering what he was doing at the Guilin Night market - shootring MTV? Haha. happysurfer, haha yeah too bad no MC Tshirts! The egg shaped instruments look like avocado? LOL! ishmael, Jay Chou is a famous Taiwanese singer. T shirt with Darth Vader on it? LOL! ayie, haha better luck next time! :) I'm sure you will have fun shopping there! shingo T, haha! You fell for my trick? Lovely market. The place is looking brilliant with those colorful things. 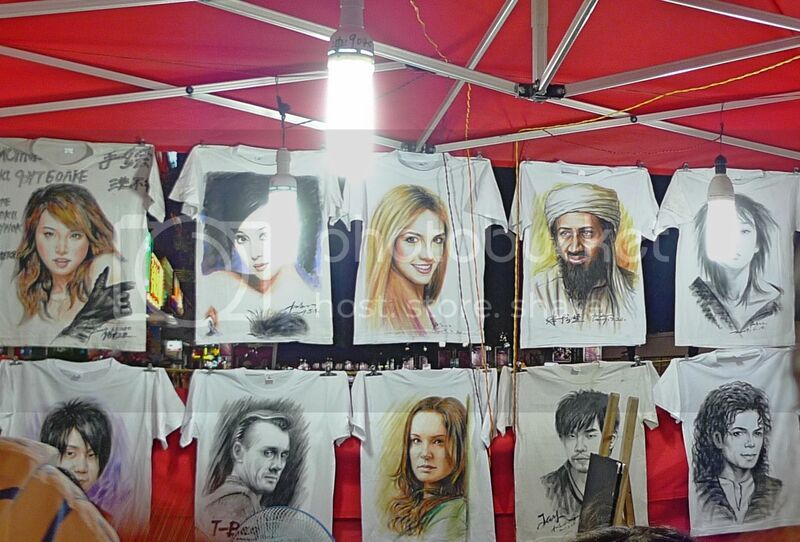 I was shocked to see the T-shirt with the picture of Osama. Have a nice time. Bye. 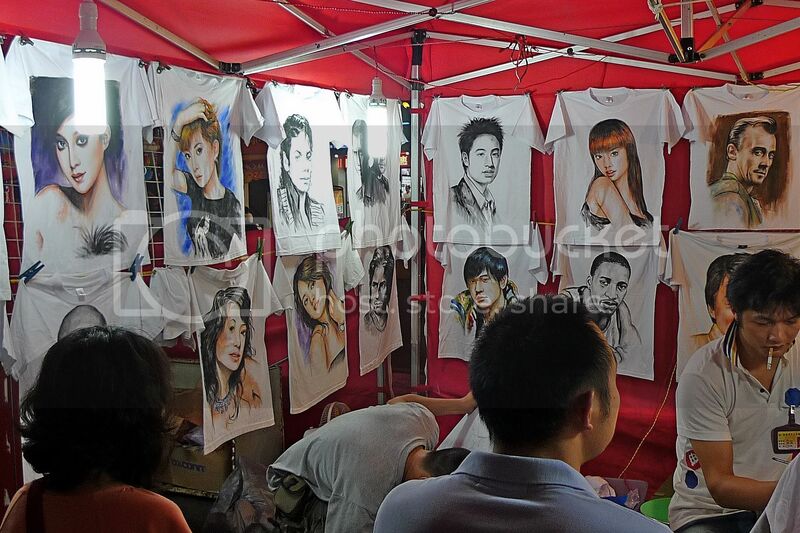 The T-shirts with photos of celebrities are so cool!